There is one colour I find universally lovely: Blush. The name alone is soft and pretty. Some of the most perfect shades of blush are found in nature, or where nature has taken it's toll on a once vibrant red or pink. 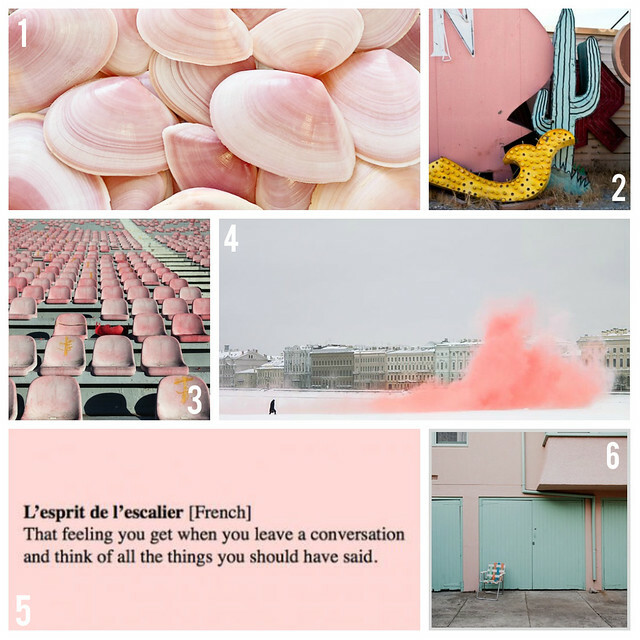 It is unlimited inspiration to me, here are some of my favourite blushy captures around the web.